With the developing of the economy, there are more and more kinds of cable ties on the market. Our marker cable tie becomes the new star in the industry. What is the marker cable tie? Many friends may meet the situations below, when they are arranging the wires and cables. 1. Oh, there are so many wires. I don’t know which belongs to machine A. I forgot where the line of machine D connect. That is so troublesome. 2. Someone says we can solve the first situation by line marker. But we always forget to install the line markers. So what can I do? I have finished the crystal head. 3. Some of us have bought the finished cables. How to mark them? These problems have been troubled many friends. But our marker cable ties can easily solve them. Now let me introduce the new star in the industry, marker cable tie to you. It is designed for the information marking. The tie is consisted of a flag and self-locking cable tie. It is solve the labeling problems for wires and cables. There also have other specifications of marker cable ties. They can be two flags marker cable ties, three flags marker cable ties and so on. We can choose what we need according to the actual situations. The tag part can be horizontal or vertical. It is set below or above the head of the cable tie. And we can imprint on the tag. Or we can use the oil pen to write on it for the marking. Besides our self-locking cable tie part can ensure the wires and cables to be secure. There will be no loose or retreat. It will be very firm. The marker cable tie is easy to use and fasten. It is popular in automotive industry, electrical trades, packing areas, and so on. What is the product description of marker cable ties? Our marker cable ties are made by the good material of Nylon 66. It is UL approved. It is flame resisting, with the grade of 94 V- 2. And it is anti-aging. Besides, it can resist to many chemicals. There are 100 mm and 178 mm as the length. There are 2.5 mm and 7.5 mm as the width. Generally speaking, there are two kinds of colors of marker cable ties. They are natural and UV resistant black. When the ties work for outdoor use, users can choose the weather resistant UV black color. If you need the color for the coding and identifying, we can choose other kinds of colors, besides of white and black. There are also two kinds. They are 19 * 9.5 mm and 28.5 * 12.7 mm. The flag can be horizontal or vertical. And it can also be internal or external. It is from -40 degrees ℉ to 185 degrees ℉. Their tensile strength can be 18 lbs and 50 lbs. Generally, the packing quantity in each bag is 100 pieces. Marker cable ties are resistant to acid, aging and corrosion. They have excellent performance in insulating. They are seen in the televisions, computers, domestic appliances, lights and so on for the marking. What are features of the superior marker cable ties? In the daily life, we most frequently used thing for the bundling is the marker cable tie. For this kind of tie, we will prefer to know more about the quality. Now let me give some features of the superior marker cable ties. Superior marker cable tie must have top quality and the cheap price. But how to know the quality of the ties? We can start from the material and the details. There are many kinds of materials. For example, nylon, plastic, and stainless steel are all the materials. And we could touch and smell to judge the quality of the marker cable ties. Bad quality cable ties will be rough when we touch. And it will have a pungent smell. What are the details for knowing the quality? That means we can use the tests. After the tests, bad quality marker cable ties will have the situations of reversed tooth and break in the head. If the ties have no situations above, it is the superior cable ties. Generally, the cable ties are used for bundling and fastening things. So the flexibility of a cable tie is very important. The superior marker cable ties are excellent in the flexibility. There will not occur the deformation or the break during the process of stretching the ties. If the ties will have the break or deformation in the stretching, they must not be the good cable ties. Besides, in the stretching process, the marker cable ties with a brittle break also belong to the bad quality products. What are the advantages of marker cable ties? In the past years, there were no zip ties. People will use the rope to fastening and binding. But with the development of the society, rope has retreated from the bundling industry. Now more and more zip ties are used. What are the advantages of marker cable ties, compared with the ropes? Usually, marker cable ties are cheap. They are made by the nylon material. This kind of material is easy to store. And it is difficult to have some damages. If there is no outer damages, this kind of product can be stored for a long time. And the traditional ropes are made with the fibers. Some are made with the material of PVC. After a long time, both materials made ropes will have the deformation. Besides, the marker cable ties have no requirements in the storing. They can be put everywhere. There is no limits for them. However, the fiber made rope will go aging and corroded, if there is no good storing. Thus, the traditional ropes have left the key position of the industry. The marker cable ties are popular on the market. For the traditional ropes, they need to be cut and tailored, if they want to bundle larger size goods. The cutting and tailoring of the rope is not good in the appearance. And it is easy to go knotted. This is not convenient for use. The zip ties have the united sizes and specifications. The sizes can be chosen by the customers. Besides, marker cable ties can be easily to use. They are easy to be got off. And they are not easy to be damaged. They must be the first choice for the users. After an introduction of the zip ties, I think you must have a clear answer why the cable tie is better than the traditional rope. What are the applications of marker cable ties? Everyone likes the cheap marker cable ties. It is because this product is very useful. This kind of cable ties are widely used in our daily life. Do you know what the applications are? Let me give a brief introduction. In the stationery store and department store, the marker cable tie is very hot. It is used for the organizing. For example, we can use this kind of ties to organize the pens, rules, erasers and so on. Some stationery need the marks to know the brands and the types. Thanks to the zip tie, it it very convenient to do the organizing. Traditional ropes can not finish the task of the arrangement of the cables and wires. It is because the task will need the identification function. The ropes do not have the function. Besides, the ropes may knot after a long time using. This kind of zip tie can easily solve this problem. It can make the cables and wires tidy. And it will not be easy to knot in the using. When we buy some sea food on the fresh market, the water will be taken together to keep the fish fresh. The method of using the plastic bags will easily make the water leak out from the bag. It is because of the gap of the plastic bag is a bit big. The leaking out water will make the surrounding very dirty. And it will not ensure the fresh degree of the fishes. Our zip ties can help to solve it. The ties can adjust the size. It can be big or small. The professional locking head and the toothed body can keep a circle. It will not loose. It is the best tool on the fresh market. After knowing these above, I believe we can have a better use of the marker cable ties in our daily life. How to use the marker cable ties correctly? Marker cable tie is an often used tool in our daily life and work. With the fast step of the society, its application is more and more wide. They have covered all the bundling fields in the life. Because of their simple installation and fast bundling, they are so hot on the market. And they can adjust the tightening degree. The ties can use again and again after using. They are favored by all walks of life. Now we can learn something about how to use the ties. Usually, in the normal working environment, marker cable tie has a service life of ten years. But there are the difference among all the ties. These may affect the service life of the marker cable ties. There are two kinds of extreme bad working environments. They are high temperature and low temperature. It is because that the main function of the zip tie is for the bundling and securing. And the machine the marker cable tie is working will produce much heat. The temperature of the tie will be higher than the temperature of the surroundings. So in the extreme bad working environment, we must choose the good quality nylon cable ties. Even though it has the high quality, the bad working environment will still damage the zip ties. And the service life of the marker cable ties will reduce directly. Under the low temperature, the activity ability between the molecular will reduce. The tensile strength of the zip tie will reduce. So it is easy to lead to the break in the low temperature. Thus if we can not choose the working environment, the best way is to choose the best quality cable ties. It can make the using time longer. First, we need to identify which side is the front and which side is the back. Then we should to insert the tie into the hole to fasten the goods. After the tie becoming to a circle, we should stretch the tie tightly. It can make the bundling secure. The way to loose the cable tie can be many. Someone will use the knife or scissors to cut off the product. In fact, we just need a screwdriver to loose a marker cable tie. We insert the screwdriver into the locking part of the head. Then keep knocking it down. The lock can easily be loosed. HONT is the reliable cable tie manufacturer for you. We have the professional computer opterating systems. And we owns professional engineering teams. The world advanced molding and injection machines are also the quality guarantee of the company. Each piece of product of HONT has been tested by the testing machines in our testing lab. We have got the certificates of the CE, UL and RoHS. The products have good quality and elegant design. 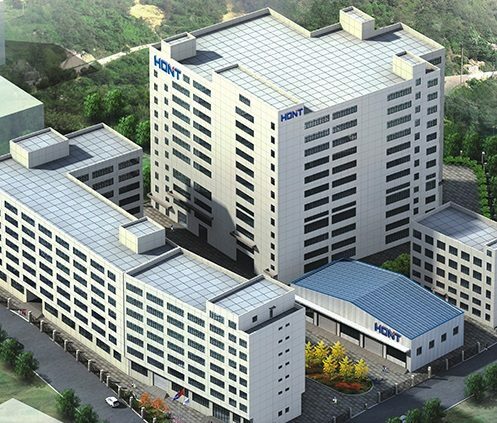 Founded in the year of 1996, HONT has got a rich experience of producing and exporting the products to foreign countries and cities. It has cooperated with many international big companies, such as Home Depot, Walmart, RB, Dormam, Stanley and many companies. The company is keeping the tenet “Best Service, Best Quality, Centenary HONT, Continuance Businesss”. To make the customers’ satisfy is the biggest happiness of all the HONT people!